The Home of the Up All Night Stamper - Because Sometimes You Just Can't Stop Stamping! Yes, I am still a Stampin’ Up! Demonstrator. Yes, I am still serving my customers and am always happy to place any order no matter what size and support customers in any way I can. No, I am no longer holding classes or events. I know, sad. But the reason why is a GREAT one! I have been fortunate enough to have been able to build my coaching business, The Crawshaw Group, into something so amazing and so rewarding that I have transferred most of my resources over to it in order to serve those clients with all that I have. 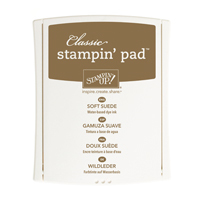 Many of those clients are Stampin’ Up! Demonstrators and watching those demonstrators move in a positive, profitable and fulfilling direction is incredibly rewarding. So I won’t be posting projects any more. If you are looking for a site that has terrific offerings I suggest you check out I Teach Stamping with the uber talented Megan Daves. I also will no longer be sending out newsletters from Up All Night Stamper. I encourage you to keep stamping! Aren’t they cute? And they are so so easy! So grab this set – which is staying around through at least June – and whip up a cute little penguin or snowman paper doll! I hope you enjoyed this little series of super fast, super easy, SUPER gorgeous (if I may say so myself – lol) cards using just the card bases in the Watercolor Wonder Note Cards in the current Occasions Catalog. These are gone, gone, gone as of the end of May and if there are any left after *I* order some more, you want to get your hands on them! Ok – so here’s how you make this – are you ready? 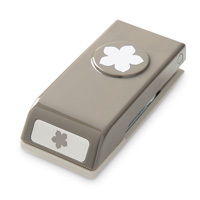 Ink up the greeting with markers and stamp; adhere the bow. BOOM! DONE! I know, right? 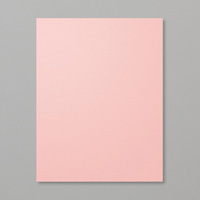 Trust me, you will be SO happy when you have about three minutes to pull a card out of your ear and you find these Watercolor Wonder Note Cards in your stash. Did you know you can custom color that Crochet Trim? Yup, a couple of drops of reinker in a little water will color it all the way through, or for a more vintage-y, shabby chic look, just use a sponge dauber to color the surface. And did you know those Naturals Buttons stack? Putting a couple together with some Natural Twine makes a super cute and almost instant accent for any card, especially masculine and outdoorsy cards. And here’s an INSIDER TIP – if you want a length of Pacific Point Ribbon and don’t want the white stitching down the center, just pull it out! Instant solid colored ribbon! You can order any of these HERE along with anything else you want from the Retiring List – don’t delay – things are sold out already! Here’s the fourth card I made using the Watercolor Wonder Note Cards. I love that the set comes with five different designs so you never get stuck in a design rut! This card comes just with that gorgeous Gumball Green wash so you can pretty much do anything you want with it – make it playful, make it fancy, make it simple…..like I did here. I just stamped the line art flourish from Creative Elements in Basic Gray, added a few Blushing Bride flowers using the Petite Petals stamp set and punch, added some pearls and a greeting from Blooming With Kindness also in Basic Gray. And this was a quickie, too! It’s amazing how much you can do with an excellent foundation which is what I adore about these Watercolor Wonder Note Cards. 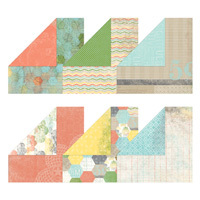 With free shipping these cards are less than SEVENTY-FIVE CENTS apiece making your crafting go a lot further and your opportunity to create limitless – get ’em now! Stampin’ Up! Retiring Products Available ONLY WHILE SUPPLIES LAST! Yes, even stamp sets! And Stampin’ Up! has been employing a lot of new inventory controls that, while they are excellent decisions regarding the bottom line, mean that there are far less things sitting around waiting to be sold. This means that demand will be high and supply is lower than in the past. Ok – Click HERE where you will be brought to the page where you can click on either the Retiring Stamps or Retiring Accessories lists. You can also click HERE and just browse EVERYTHING in my store. Remember that things are running out so DON’T delay!! By now I am sure your kids are bouncing off the walls – maybe you, too! – from an overdose of jelly beans or chocolate kisses. And that’s a really fun part of Easter – hey, my kid is almost 17 and the Bunny still brings HIM an Easter basket! And, as we all know, Easter is the time when Christians celebrate the resurrection of Jesus Christ, exemplifying the hope that even after our deaths WE will be resurrected in a new, eternal life with God. Now I am not going to get all theological on you – I believe that personal faith is just that – personal. I was raised a Roman Catholic and while I still find comfort in certain Catholic rituals and beliefs, at this point in my life I identify more as a Christian – a quiet Christian; believing that Christ was a good man, a man who faced struggles and had questions and, in the end, showed us that faith can bring you through anything. When I was a kid, my grandparents went to St. Thomas Church in Peabody MA. It was a BEAUTIFUL church with lots of stained glass windows, pretty good acoustics (good for singing, NOT good when you got a giggle fit! ), stone floors, wood everywhere. As much as we used to push back a little when we were kids and we had to come inside in the summer, wash our faces and hands, put on clothes that weren’t caked in mud and head down to Saturday evening mass – all forty-eleven of us cousins, aunts, uncles and who knows who else – once we were there we felt that sense of peace and comfort that we could see Gram and Pup experienced through their faith. Gram and Pup loved to sing in church. Even in her later years, when her memory was robbed from her by Alzheimer’s, Gram could remember every prayer, every hymn. One that is sung at almost every Easter celebration is “Christ the Lord Is Risen Today” and while I don’t know that was one of Gram’s favorites, she sure loved to sing it. Even now when they sing it in church, Mum and I will look at each other, mid verse, and our eyes will full up remembering the joy my grandmother got from this season. So I know a gentleman through Stampin’ Up! who sings in the Mormon Tabernacle Choir. And this is a beautiful rendition of this hymn. So to those who have passed on to that other life, to my family here on earth and to all my friends everywhere, Happy Easter! 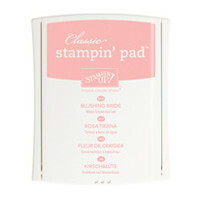 Free Shipping for Stampin’ Up! Orders April 21st Through April 25th! So, you know how the 2014 Retiring List of Stampin’ Up! products is coming out on Monday? And if you read my post yesterday you know that I provided you with a list of every item currently available that includes the RETIRING 2012-2014 In Colors. And you know that this year BOTH stamp sets AND accessories will be available only while supplies last. So if you needed one more reason to get your order in ASAP, here is it – FREE SHIPPING! Yes, you read that correctly – FREE SHIPPING on any order (expedited orders are not included) for any product from April 21st through April 25th. 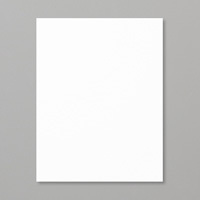 Check your stock of cardstock. Look at your old wish list. Inventory your embellishments, ribbons, designer papers. Do you have enough envelopes? 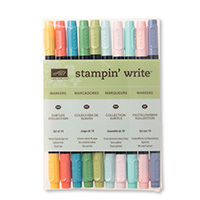 Are you running low on adhesives like Stampin’ Dimensionals or SNAIL refills? Had your eye on a set of framelits that you have been waiting for a sign from God that it’s time to grab them? Well, NOW is the time! And check back first think Monday morning for the 2014 Retiring List and get ready! Retiring In Colors – Don’t Miss Out on Ordering Your Faves Before They Are Gone! One thing – well TWO things – we know for sure about the 2014 Stampin’ Up! Retiring Product List that is coming out on Monday; 1 – Everyone will be bananas checking their wish lists because for the first time ever STAMP SETS as well as accessories will be ONLY WHILE SUPPLIES LAST and 2 – The 2012 – 2014 In Colors will be retiring (almost certainly). Yes, some of them have made comebacks with color profile adjustments but we haven’t heard boo about that this year. So, if you fell in love with GUMBALL GREEN, MIDNIGHT MUSE, PRIMROSE PETALS, RASPBERRY RIPPLE or SUMMER STARFRUIT you should order what you need or want NOW so that when the Retiring List is officially released, you will be ahead of the game! I can’t count the number of calls I have taken over the years from people so upset that they didn’t order their favorite retiring color and had to pay boo-coo (beaucoup) bucks to get it online. I am including below a table for you of ALL the products in the current catalog that feature the outgoing 2012 – 2014 In Colors. If there is ANYTHING on that list that you want, run, don’t walk, HERE and order it. Lots of demos are stocking up now and if they care at all about their customers, they are telling them the same thing I am telling you. Of course, if you have any questions, feel free to contact me. Go check your stock and make sure you are all set with these 2012 – 2014 In Color items!